Nowadays everyone seems to be conscious about their health. In recent years, dietary habits of the people have been drastically changed around the world. People are not aware of their diet routines properly. They do not know what to eat and when to eat. This can result in some chronic health problems for them. For now, obesity is one of the biggest health problems for large numbers of people in the world. The studies showed that many Saudi people were indulged in chronic obesity due to poor dietary routines and lack of exercises. These days, a lot of healthcare organizations, pharmacies and hospitals are putting the best efforts to create health awareness among the citizens by means of quality logo design services in Saudi Arabia. If you are running your own hospital or healthcare laboratory or pharmacy in the Kingdom, then you will definitely need a high quality branding. For this reason, you can pick and choose creative healthcare logos for introducing your brand in the market. Then if you want to advertise your hospital in the Kingdom properly, you can use the creative hospital logo designs for inspiration. Also the pharmacies can use logos for their branding purposes in Kingdom. Moreover you can use fitness logos in order to promote your fitness training center or gym in the area. Thus, the purpose of all these health promotion campaigns in the Kingdom is to increase the awareness about health and fitness among people. 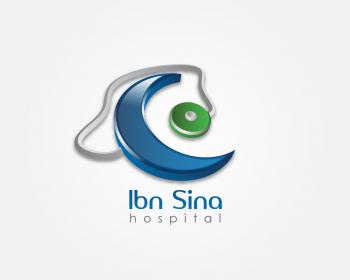 In this post, you will find 25 creative healthcare, pharmacy and “hospital logo designs” for inspiration in Saudi Arabia.